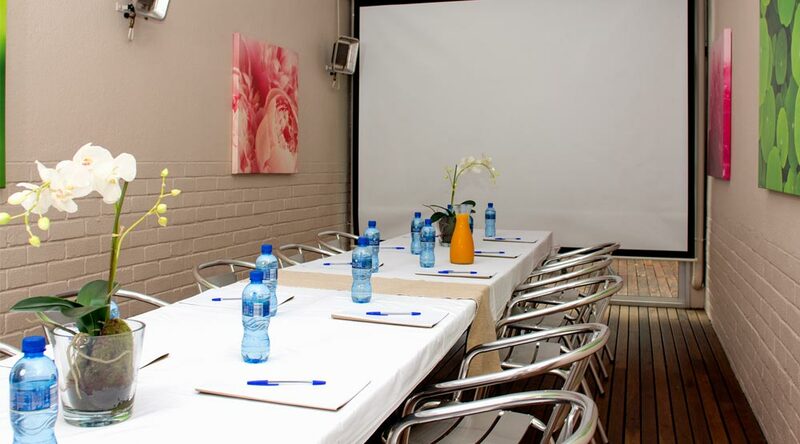 Life on 3rd has an intimate conferencing facility that is suitable for meetings of up to 16 delegates (minimum 6). The conference room opens up onto a lovely deck with a couple of small tables for relaxing during the lunch break under some lovely trees. The conference facility is equipped with a projector, complimentary WiFi, drop down wall-to-wall screen, DVD player and flip charts. We cater for conferencing events and private functions. For conferencing, our menu consists of tea and coffee, fresh juices, bottled water, mid-morning muffins, lunch, desserts as well as afternoon snacks. We are situated close to the SABC, Media 24 as well as University of the Witwatersrand and University of Johannesburg. Our venue is perfect for smaller creative writing groups and drama school workshops and advertising workshops. International university student residencies are welcome and we have successfully hosted American Universities at Life on 3rd.